Powerblanket® designs and manufactures Powerblanket ICE®, portable cooling equipment that will keep your materials safe from heat including the Icepack Blanket, the Circulation Blanket + Cooler, and the Circulation Blanket + Chiller. This product line features portable, insulated, and efficient process cooling equipment. Effectively regulate temperature-sensitive material under both regular and hot conditions with Powerblanket ICE process cooling equipment. With internal pockets that place the ice directly against the surface of your container, the Powerblanket ICE Ice pack Blanket is an affordable portable process cooling option. This blanket is insulated, ensuring that your ice packs will last longer than ice alone and longer than other non-insulated options on the market. Freeze your ice packs, wrap your product, and get to work. The Icepack Blanket is a lower cost option that is easily portable, allows you to adjust temperature based on the number of ice packs used, and offers the convenience of reusable ice packs. For more advanced process cooling equipment, look to the Circulation Blanket options. The Powerblanket Ice Circulation Blanket is combined with either a cooler or chiller to achieve optimum results. The Circulation Blanket uses Powerblanket’s patented heat-spreading technology in reverse to draw heat to the blanket and cool the contents of the container. When using the cooler with the circulation blanket, the ice cold water in the cooler is pumped through the blanket, surrounding your product in constant cool. The pump runs on 12VDC or 120VAC power. Maintain a minimum temperature of 32°F/0°C or lower the temperature with salt or other freeze point modifiers. Forty pounds of ice can maintain the temperature of whatever you are cooling at 55°F/13°C for nine to ten hours in 100°F/38°C ambient temperatures. Simply fill the cooler with ice and water and know that your materials are cool. If your needs call for something even colder or continuous the Circulation Blanket + Chiller will be the best option for you. When combined with the chiller, you can maintain industrial cooling of 20°F/-7°C. This portable process cooling equipment option offers precise temperature control. One chiller can operate with two 55-gallon drum blankets. The chiller combination is ideal for process cooling and other industrial cooling applications. Powerblanket has a process cooling solution for you unexpected heat issues: Powerblanket ICE. Unexpected temperature changes were not on your list of things to deal with when you installed your state-of-the-art system a few years/months/weeks ago. A large portion of money went into that equipment and now you are sitting with a major dilemma on your hands. Heat is your problem and you need a process cooling solution . The materials are overheating, causing delays in productivity, damage to materials, and/or danger to your equipment. Options for overcoming this problem are often limited to buying large and expensive refrigerators, or replacing equipment with new equipment designed with cooling capability. Financially, that isn’t making anyone smile. Powerblanket specializes in retrofitting tanks, pipes, machinery, motors, and drums that were designed/built with cooling in mind. Powerblanket offers innovative industrial cooling systems to keep your assets safe for years. With the new Powerblanket ICE industrial cooling/process cooling blankets, you can efficiently regulate temperature-sensitive material under both regular and hot conditions. Powerblanket ICE works especially well for the manufacturing, fermentation, spray foam, motor, welding, and biomedical industries, including tank cooling, drum cooling, and many other applications. We want to help you keep your critical equipment and materials cool under hot temperatures. 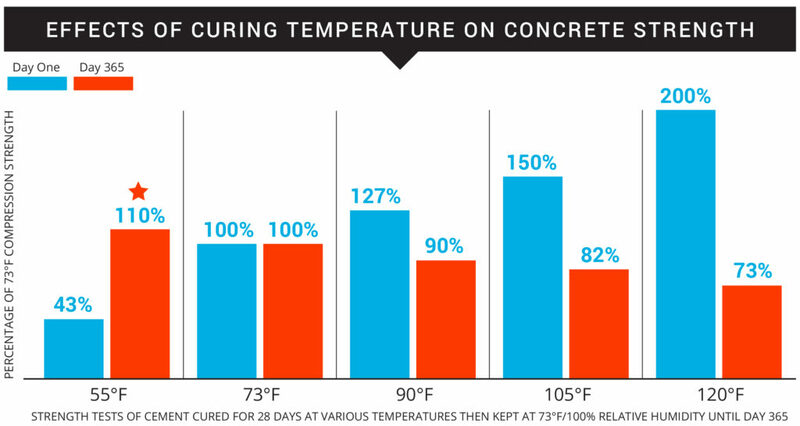 Often customers will design a system not realizing that certain areas will exceed acceptable temperatures. Enter Powerblanket. The cooling technology of Powerblanket ICE will save you time, money, and stress caused by uncontrolled temperatures. Powerblanket Ice can save you money. Design a system to fit almost any equipment, saving you the expense of buying cooling capable equipment or buying large refrigerators. Powerblanket Ice grows with you. Systems can be expanded as requirements grow. A Powerblanket ICE system is mobile and has a relatively small footprint. Powerblanket ice only cools what needs to be cooled. Control temperatures precisely, with a properly designed system (controller, solenoid valve, and bypass valve required for tight temperature control, actual temperature range depends on conditions). No modification to equipment required in most cases. Powerblanket’s new innovative cooling solutions help to maintain ideal temperatures in the hottest of weather. From small cooling jobs to large and substantial chilling applications, Powerblanket cooling solutions offer a range of temperature regulation via three performance levels. Today, in this post, we’ll take a look at the most robust Powerblanket ICE product of them all…the Powerblanket ICE Chiller System. If you’re storing a temperature sensitive product in hot weather, then you need to make sure that product doesn’t get too hot. If it does, it could be the product’s undoing. In many cases, simply cooling the product may be sufficient. This could be accomplished with our Ice Pack Product. If you need refrigerator-level cooling, then our Cooler Product is the perfect fit. But if you need freezer-level chilling with circulating fluid as low as 20 °F, or you’re protecting a product against extreme heat, then the Powerblanket ICE Chiller Product is your answer. The Chiller Product is the top tier of the Powerblanket ICE family. It’s the mack daddy, the alpha male, the great sovereign of Chill-dom. With its extremely efficient and highly capable chiller, the Powerblanket Chiller Product offers precise temperature control, clear down to 20 °F. But this chiller system happens to have another very noteworthy feature worth mentioning. Along with being able to chill product lower and more precisely, the Chiller also has the capability of chilling more product simultaneously. For example, with the Chiller Product, you can chill two 55 gallon drums of product with one Chiller. If you need to chill more product, and chill it well, then the Chiller can make it happen. So if you have extreme cooling needs and need to protect your valuable assets against the hottest of hot weather, then learn more about our Powerblanket Chiller Product and give us a call today. If you’re storing things in tanks, then you’re storing a lot of it. That being the case, you can’t afford to leave your valuable liquid or other material to the whims of Mother Nature. When it comes to Summer, heat can wreak havoc on your tank storage and operations. But rather than spending a boat load on refrigerated tanks, you can get much more economical tank cooling solutions with Powerblanket ICE. What are your options for tank cooling solutions when summer rolls around? Well, if you haven’t heard of Powerblanket cooling technologies, then your only option is likely to be a refrigerated tank. Refrigerated tanks certainly get the job done. 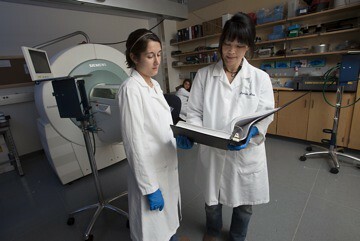 But aside from being rather expensive, they don’t solve cooling problems for pre-existing tanks. In other words, if you don’t already have a refrigerated tank, then you’re going to be spending a lot of time and money replacing your present tank(s) with new refrigerated units. Thankfully, there’s a much better option for you. Powerblanket tank cooling solutions allow you to apply an insulating exterior cooling system to any tank. From common sizes to custom application, Powerblanket cooling technologies will keep your tank storage at the ideal temperature during the hot summer months. With four cooling options to choose from, Powerblanket tank coolers offer cooling protection for small to large applications. Powerblanket ICE Tank Cooling Systems use patented technology to draw heat away from the tank in order to cool the contents inside. Our Tank Cooling Systems cover and insulate with a durable and easy-to-use system. Powerblanket ICE systems are portable and easy to install and remove. The Powerblanket ICE Tank Cooling System makes for easy temperature control of bulk materials. Each tank cooling system can be left installed and running while tanks are in use. Custom cooling systems can be designed for any size and shape of tank. Barrels and drums, drums and barrels, they certainly make for very versatile storage units. There’s really very little limit as to what you can store in them. However, as versatile as these storage units are, they are entirely vulnerable to temperature change, making the contents equally as vulnerable. That’s why you need barrel cooling solutions for the hot summer months. Whether you’re using metal or poly barrels or drums, one thing is clear; they don’t insulate at all. And since they don’t insulate, the contents stored in a barrel are left to the whims of external temperature. For many liquids and other contents, room temperature is just fine. But often times, barrels aren’t stored in a nice temperature-regulated area. More often than not, barrel storage is in uninsulated warehouses, sheds, and garages. If you’re barrels are stored in such locations, and your contents need to maintain a cool temperature, then summer is going to pose a real problem if you don’t have barrel cooling solutions in place. Even more important than the aforementioned scenario is the need for keeping contents well below room temperature. Instead of investing a whole lot of money in large refrigerators and freezers, units that would have to be large enough for barrel storage, you can keep your barrels cooled, chilled, and cold right where you always keep them. With Powerblanket ICE barrel cooling solutions, barrel storage has never been cooler. The Powerblanket ICE Drum/Barrel cooler uses Powerblanket patented technology to draw heat away from the container in order to cool the contents inside. Each Barrel cooler covers and insulates through a durable and easy-to-use system. Powerblanket ICE barrel cooling solutions are portable and easy to install and uninstall. The Powerblanket ICE barrel cooler allows you to control the temperature of your materials with ease and efficiency. Each barrel cooler can be left installed and running while material containers are in use. Protect your storage from overheating, avoiding costly setbacks and ruined product. Increase operational efficiency and, in turn, profit. Make sure the valuable characteristics of your storage are never compromised by overheating. If you run electric motors consistently, then you know that overheating can pose a substantial problem to your motor’s life expectancy and the continuity of your operations. But this is a problem you won’t need to worry about any longer. Powerblanket ICE cooling systems can keep your motors running at the best temperature, offering the perfect electric motor cooling solution. Electric motors are used for a wide range of applications. They fuel much of the conveniences we enjoy on a daily basis. 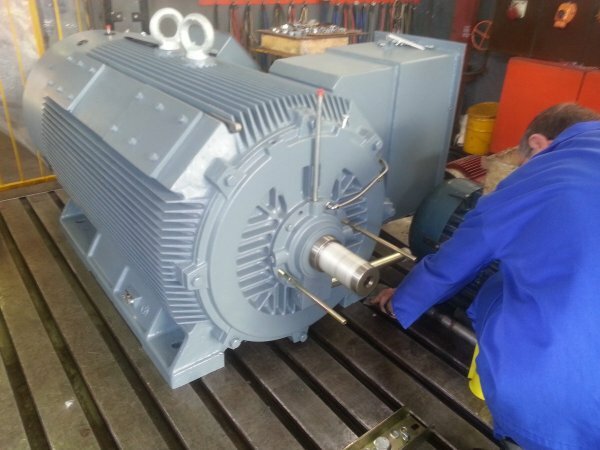 And when it comes to industrial applications, your electric motors are an important tool for your business success. Yet the stark reality is that there isn’t an electric motor out there that’s totally fail proof. Actually, one of the most common causes of electric motor failure is overheating. When your motors experience excessive levels of heat, the windings suffer insulation deterioration. To put this in numbers, your motor’s insulation life decreases by 50% for every 50 °F (10° C) increase in heat. So if you don’t have a cooling plan in place for your electric motors, you’re going to experience significant setbacks. The good news is that Powerblanket has an innovative motor cooling solution that prevents overheating in electric motors. Powerblanket ICE is an easy-to-use cooling system that can be fully customized to fit your particular motor. Keep your motors functioning at the ideal temperature whenever they’re running, avoiding deterioration in your motor windings and prolonging the life of each unit. Protect your motors against overheating, avoiding damage to your valuable assets. Increase motor efficiency, operational efficiency, and profit. Avoid costly downtime associated with shut downs caused by overheating. The breadth, variability, and differences among electric motors would make a ready-to-ship solution pretty improbable and futile. That’s why Powerblanket approaches each motor cooling solution from a custom standpoint. But customization with Powerblanket doesn’t mean long wait times and excessive expense. We can turn around your custom motor cooling needs in two weeks, and the process is as easy as 1, 2, 3. Whatever the size or application of your motors give us a call today, and we’ll help you protect them against failure. Do you deal in the world of fermentation? If so, then you know how important it is to maintain the ideal temperature of your liquids. And with warmer weather already here, and with even hotter weather on horizon, you’ll need reliable cooling solutions for fermentation in place. With Powerblanket ICE, you can keep liquids cool, even under extremely hot conditions or during exothermic reactions, like fermentation. For years now, Powerblanket has provided numerous industries with innovative heating solutions through our line of ready-to-ship and custom applications (and if you need heating solutions for fermentation, we have those too). Now, we offer innovative cooling systems alongside our revolutionary heat-transfer technology. And with the summer months approaching, cooling becomes a prime focus. With Powerblanket ICE cooling blankets, you can efficiently and economically regulate temperature-sensitive liquids, even when the temperatures are 100 °F or more. Powerblanket ICE works by pulling heat away from the container in order to cool the contents inside. With three performance levels available, you can pick the solution that’s right for your budget and needs. Powerblanket ICE products are the perfect cooling solutions for fermentation. Powerblanket ICE uses Powerblanket patented heat-spreading technology in reverse to draw heat away from the container and cool the contents. Ice box, ice pack and chiller-driven systems are portable (120VAC required for ice box and chiller systems). Blankets can be left installed and running during routine procedures.